This product contributes to efficient operation and maintenance of the plant by detecting and making “cavitation” visible which is one of “production obstacles” that hinders plant operation from the information of the field device. This product uses the pressure information of the field device, so cavitation can be detected earlier. Process industries use large, highly complex pumps. Failure of such process critical pumps could result in downtime costs that exceed $200,000/day. Therefore, customers closely monitor these pumps and are strongly considering implementation of predictive maintenance solutions. Since cavitation can implode a pump and result in a major safety risk, customers are seeking a reliable solution that allows them to predict and prevent it. 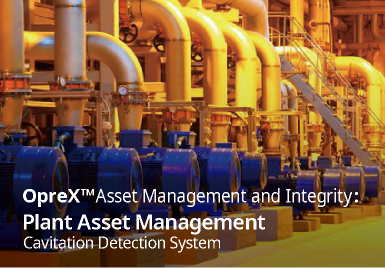 Existing cavitation detection systems monitor the pump and piping for abnormal sounds and vibration. By the time they report a problem, cavitation could be well underway. However, the Yokogawa system can accurately detect cavitation much earlier by directly measuring the weak pressure fluctuation as a bubble collapses within the transmitter. Currently these pumps and liquids are supported.